The Suzuki Intruder Bike comes in the category of the most desirable cruiser bikes as every bike rider loves it. 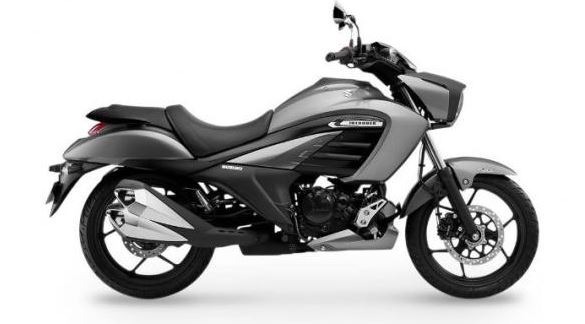 This new motorcycle of Suzuki is a model cruiser of India. This cruiser bike is an ideal combination of features, performance, and modern styling. 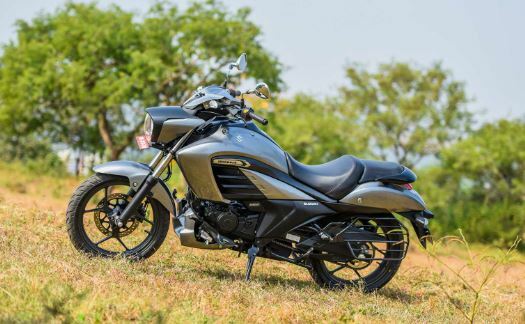 The Intruder will additionally build Suzuki in the sporty portion by giving Young India a distinctive exposure to international Intruder heritage of Suzuki. The Intruder FI consists of the all-new Advanced Fuel Injection Technology, which makes the throttle response and Fuel efficiency better. The 6 sensors of this cruiser bike, calculates the data for the optimal amount of fuel be injected in real time, for better planning of combustion resulting in precise throttle response and better fuel efficiency. The Intruder FI has a legendary Intruder style headlamp which has a LED position lamp like projector making it look dynamic and premium styling cues of the front cowl which adds substantial size to the motorcycle. A close-packed full-digital meter has all the important functions in it. The smart digital in the Intruder FI is of a flat panel design, making it look like a smart-phone. Its engine RPM indicator is just like a GSX-R1000 and Hayabusa, on the basis of specifications. When that speed is reached, its segments overhead the described rpm can be made to flash. When the ignition switch is turned on, the “READY GO” comes into sight at the animation’s end. In Intruder FI, there is a Premium Intruder Emblem for the unique road presence and the feeling of association with the wealthy international inheritance of Suzuki Intruder. The rear combination tail light promotes a compact design which contains horizontally laid out LED lights. The LED lights give the bike a sporty styling and a functional element also. The Intruder FI has a sharp and distinctive styling of the dual outlet type exhaust for making the sporty appearance and the exhaust efficiency better. ABS (Anti-lock brake system) the additional system which runs the braking force planning automatically and keeps away the wheel lockup due to the slippery road, excessive braking in a determined controllable range or the sudden change of conditions of the road. SEP (Suzuki Eco Performance) is a latest developmental concept introduced by Suzuki. Suzuki’s main motive is excellent riding performance, for which great attention is been paid and “SEP” stands for an engine of our next-generation that provides superior acceleration and low fuel consumption together. The engine of Suzuki Intruder FI consists of 4 strokes, 1-cylinder engine. It has SOHC, 2 valves in its Valve system. The Intruder FI uses the Gixxer- borrowed of 154.9cc air-cooled mill. It has the highest engine output of 14.8hs at 8000rpm and generates 14Nm torque at 6000 rpm. It has a 5-speed gearbox which is refined and precise. The starter system of this cruiser bike is electric. The Suzuki Intruder FI has 2130 mm of length, 805 mm of width, 1095 mm of height and 1405 mm of wheelbase overall. Its ground clearance is about 170 mm and the seat height is about 170 mm. The cruiser bike’s weight is of 149 Kg (FI) / 148 Kg (Carburetor). The Intruder’s fuel tank can hold up to 11L fuel. The battery of the Suzuki Intruder FI’s engine is about 12v and 3Ah. Its maintenance is free of cost. The headlight of Intruder is of 12 V 35/35 W and the tail light is made of LED. The Suzuki Intruder FI is a fun cruiser motorcycle to ride. Without too many gear changes needed, the engine is ultra-refined and powerful. The handling of the Suzuki Intruder bike is easy which makes the ride quality better. The Gixxer in the cruiser bike help the riders by making their ride smooth and easy. The cruiser bike can even perform really well in the areas of sudden direction changes, mountain roads and uneven roads too. The brakes are fabulous too, but the ABS system is not a much useful tool for the Indian riders. The Suzuki Intruder FI is a cruiser bike which is of Rs 1.07 lakhs price.